Join me on a 6-day trek to the Plaza De Mulas (4,350m). 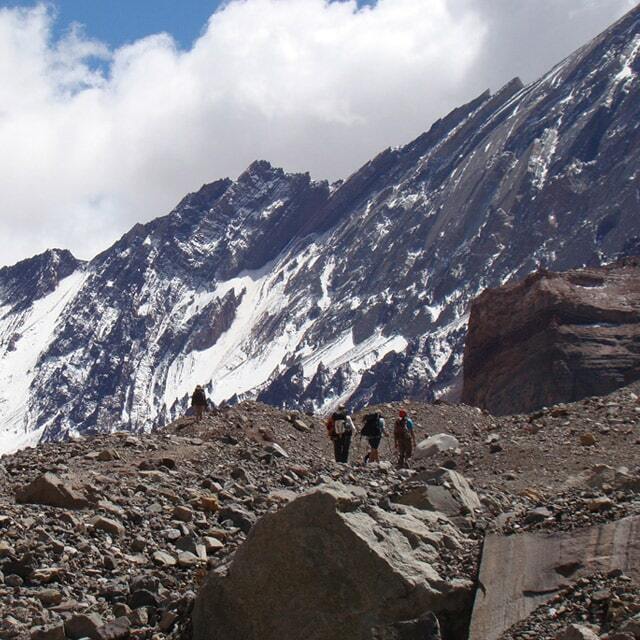 Not far from the city of Mendoza, we will enter the Aconcagua provincial park. In the heart of the Central Andes, you will see some incredible things. Starting with the biggest mountain in the Americas, Mount Aconcagua. Within the Plaza De Mulas base camp, you will have a chance to see this mythical mountain’s sleek, 3000 meter high glacial southern face. Besides the amazing views, you will also see the Horcones Superior Glacier. You will also have the chance to meet and talk to other adventures, many preparing to scale the great Mount Aconcagua. After leaving the city of Mendoza we will go to Penitentes. From there it’s off to the Confluencia camp. After that we will trek to the Plaza Francia before reaching the Plaza de Mulas. After 2 days, we will descend to Horcones before returning to Mendoza. At the Plaza De Mulas you will have a front row seat to one of the greatest shows in the world. The Central Andes. You will see peaks in every direction. You will see the kind of beauty painters spend a lifetime trying to capture. So join me on this amazing journey. Also, if you are interested in a more challenging expedition in the same area, but for a shorter period of time, you can join me on this trip. Reception in of group in Mendoza. Private transfer to Penitentes. Stay the night in Ayelen hotel. Breakfast. 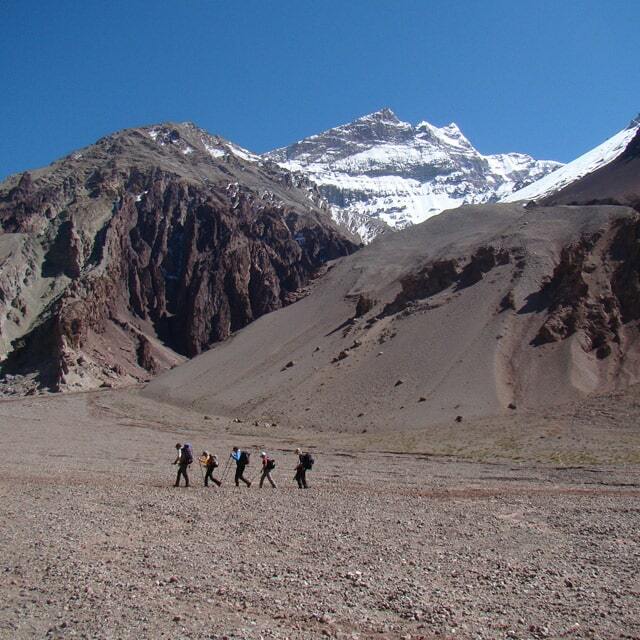 Private transfer to entrance of Aconcagua Provincial park. 4 hour trek to Confluencia camp. Breakfast. 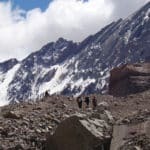 Trek to Plaza Francia to see the Mount Aconcagua Southern Face. Breakfast. Trek to Plaza De Mulas. Tour the area. Late breakfast. Start descent to Horcones. Private transfer from Horcones to city of Mendoza. I was born in Patagonia, Argentina and formed at an early age as a climber in the Nahuel Huapi National Park. Currently I completed a large number of rock and ice climbing routes, backcountry skiing and ascents in many mountains around the world such as Mt. Lhotse (8.516 mts. 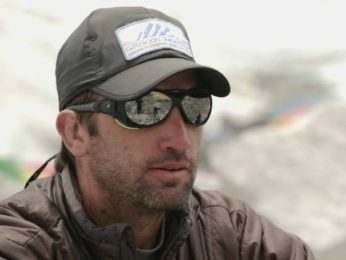 ), the 4th highest peak in the world, without using supplemental oxygen (May, 2012). I'm a certified Mountain Guide from the EPGAMT and a member of the Argentinian Mountain Guides Association (AAGM) and work on Mt. Aconcagua, which I had repeatedly ascended, as well as in other peaks in the Central Andes, Patagonia, Chile, Peru, Bolivia and in The Himalayas in Nepal. During the winter season, I practice backcountry skiing, mostly on the volcanoes in Patagonia, where I can offer you different adventures, according to your level (beginner, learner or advanced learner). I feel very privileged to work as a mountain guide, to do the job that I love, and to be able to share it with people that have the same passion. Join my expeditions and I will provide you a high standard of safety and personal attention!